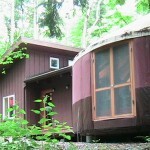 This combination cabin and yurt was designed as a multi-phased project. The initial phase, the cabin, provided all of the core requirements for a minimum code compliant residence in a mere 232 square feet of space. 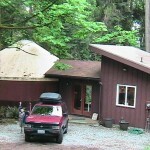 The second phase included the design and erection of the yurt adjacent to the cabin. 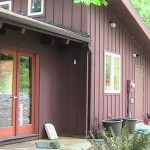 The third phase included the design and construction of the breezeway connecting the cabin & yurt. 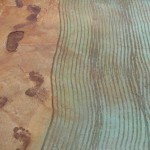 Richaven provided design and construction services for these projects.